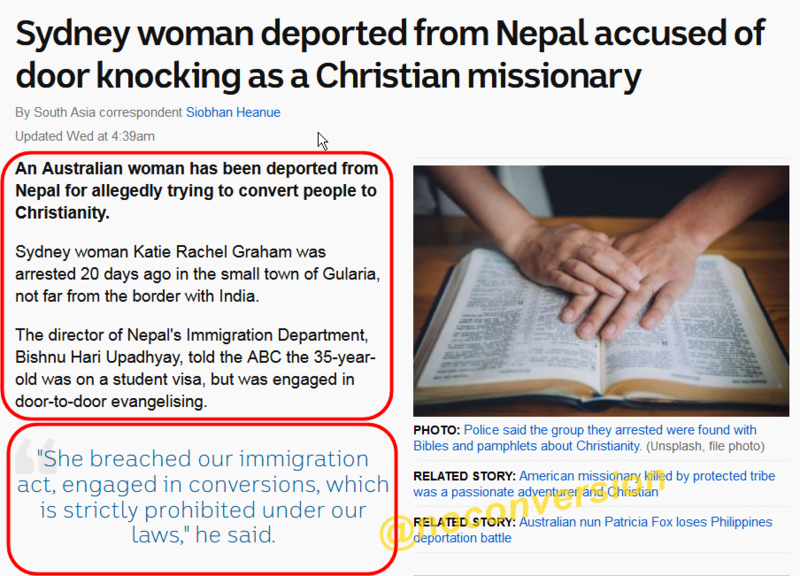 Home > Appropriation > Foreign Missionaries > Fraud > Nepal can do this but not India? Nepal can do this but not India? Of course we have a broad view towards our religion in many ways like who will be a staunch believers they only could retain in our Hindu community. No problem with non believers,. Equal harm is there with non believers and converted people. Our peethadipathi’ s should come forward in enlightening our people at least with funding as wellas motivators. Recently I came to know one of the organization with the name water for life is peeping into the country side and digging a borewell and converting those people who ever using the water. Since 6 years nearly 2.7 million Hindus converted in to Christians. Modi should unveil his secular Outlook and pass anti conversion law. All people work for 2 things earning Money or Name n Fame. For what Mr. Modi is working for not for the other one? I want to join in the anti conversion team . It is my duty towards the well being of our people n it is nothing but saving our community.